Arthur J. Gallagher & Co. Acquires Majority Interest In Hesse & Partner AG And Hesse Consulting GmbH | Arthur J. Gallagher & Co.
ROLLING MEADOWS, Ill., June 11, 2018 /PRNewswire/ -- Arthur J. Gallagher & Co. today announced that it has acquired a majority interest in Zurich, Switzerland-based Hesse & Partner AG and Hesse Consulting GmbH. Terms of the transaction were not disclosed. Founded in 1997, Hesse is a commercial property/casualty broker and consultant offering coverages and risk advisor services primarily to industrial, manufacturing and construction clients with a particular specialism in the waste-to-energy industry. Guido Hesse, Tanja Jung and their associates will continue to operate from their Zurich location under the direction of Vyvienne Wade, head of Gallagher's overseas division. "Hesse brings us an outstanding team of specialists in the growing waste-to-energy industry and positions us for further growth in the region," said J. Patrick Gallagher, Jr., Chairman, President and CEO. "I am pleased to welcome Guido, Tanja and their associates to our growing Gallagher family of professionals." 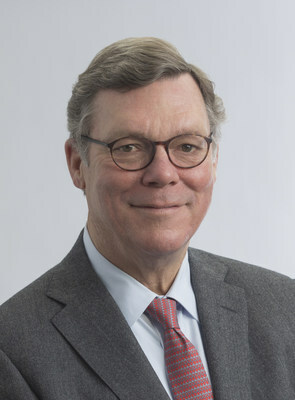 Arthur J. Gallagher & Co. (NYSE:AJG), a global insurance brokerage, risk management and consulting services firm, is headquartered in Rolling Meadows, Illinois. The company has operations in 34 countries and offers client service capabilities in more than 150 countries around the world through a network of correspondent brokers and consultants.